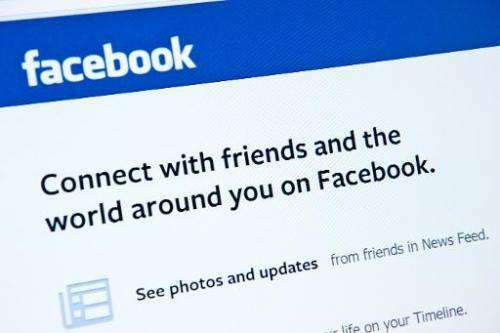 The US Supreme Court said Monday it would rule on whether violent threats posted on social media could merit criminal charges, or whether they are protected as free speech. The nine justices of the nation's top court said they would take on the case of Anthony Elonis, a Pennsylvania resident sentenced to four years in jail and three years supervised release over threatening messages he posted on Facebook. The messages, including death threats against his ex-wife, were written in the style of rap lyrics. In the appeal, which will be taken up in the fall, the court said it will consider whether "conviction of threatening another person ... requires proof of the defendant's subjective intent to threaten." Elonis has said he never seriously intended to make an attempt on his ex-wife's life or carry out any of the other threats, without proof of such an intent, criminalizing his Facebook posts violates his First Amendment right to free speech. In the appeal to the Supreme Court, his lawyers explain that, after his wife suddenly left with their two children, Elonis, then 27, fell into a depression and was fired from the amusement park where he worked. On December 8, 2010, he was charged with threatening clients and employees of the park, threats against his ex-wife, against police officers and an FBI agent, as well as threats involving a preschool class. During his trial, Elonis said he was inspired by rapper Eminem in his posts, some of which contained lewd and violent passages. "I've got enough explosives to take care of the state police and the sheriff's department," he posted in November 2010, as cited in his appeal. "Enough elementary schools in a ten mile radius to initiate the most heinous school shooting ever imagined ... The only question is ... which one?" he wrote, two years before the deadly school shooting at Sandy Hook elementary school in Connecticut. "Did you know that it's illegal for me to say I want to kill my wife? It's illegal. It's indirect criminal contempt," he also wrote in November 2010, adding "Now it was okay for me to say it right then because I was just telling you that it's illegal for me to say I want to kill my wife." In the appeal, the defendant asked the top court to clarify the law in question. He argues courts are "divided over whether the First Amendment's 'true threat' exception requires proof that a defendant prosecuted for making a threatening statement subjectively intended to threaten another person."